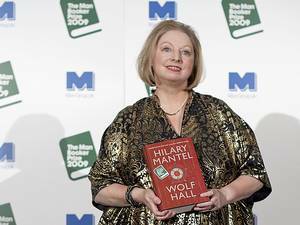 The plays based on Hilary Mantel’s books Wolf Hall and Bring up the Bodies have been successful both at the box office and in the media. This period of history, Henry VIII’s courtship of Anne Boleyn, divorce from Catherine of Aragon and Anne’s fall from favour and execution, is endlessly popular and has been the subject of any number of plays, films and TV series including of course Shakespeare’s own play Henry VIII. 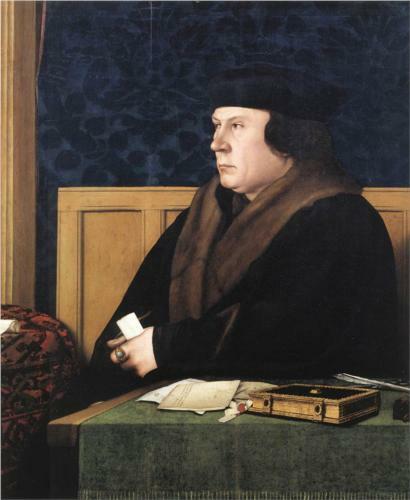 Sometimes these have focused on the personal stories of Henry or Anne, but Mantel’s books focus on the politics of this turbulent time, in particular the part played by Thomas Cromwell. Often cast as the villain of the piece, he holds a fascination for Mantel. He was after all doing a job for a king who eventually turned on him too. Michael Billington’s review in the Guardian, like most of the articles about the play, focuses on the business of turning a successful couple of novels into equally successful plays. Here are links to articles that have appeared in The Independent, and an interview with Mantel in the Daily Telegraph. Theatrevoice includes a video of Mantel talking with adapter Mike Poulton. It’s no wonder that there’s such interest in this aspect of the work. Novels can take the reader into the interior life of the characters, and Mantel’s richly-layered books build up our view of the omni-present Cromwell, beginning with a section on his childhood. Onstage he’s not necessarily the focus of our attention: Mike Poulton could have added soliloquies to allow audiences to get closer to him, but instead he increased the closeness of Cromwell to his clerk, Rafe Sadler. These are very long novels, and condensing one thousand pages into six hours must have been a tough job. Poulton concentrated on the main story, launching straight in and inserting a few references to Cromwell’s past as it goes along, as Shakespeare so often does. But it’s the performances themselves that make the production so successful. Michael Billington comments that Ben Miles “brilliantly conveys the watchful intelligence, the inner grief, the implacable isolation” of the man. This is achieved almost entirely without words, by the shorthand of few glances and gestures. And other members of the cast are equally skilled at conveying character and relationships with very little to say. There’s to be a weekend of sessions examining the books, the adaptations and the history on which they’re based on 22 and 23 March. 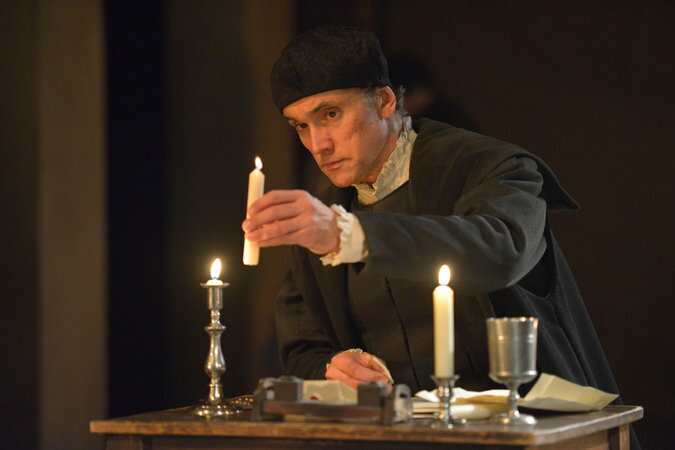 The session on 22 March will be a discussion between Mantel and Poulton on how the books were adapted for the stage and 23 March, Cromwell’s Court,will be a day of talks exploring the context of the novels and the influence of Cromwell in Henry VIII’s Court. Mantel has written a pen portrait of Cromwell which is to be offered for sale by the National Portrait Gallery as a fundraising initiative. There’s a preview here. This entry was posted in Legacy, Shakespeare's World and tagged Bring up the Bodies, Hilary Mantel, King Henry VIII, Mike Poulton, Thomas Cromwell, Wolf Hall. Bookmark the permalink.